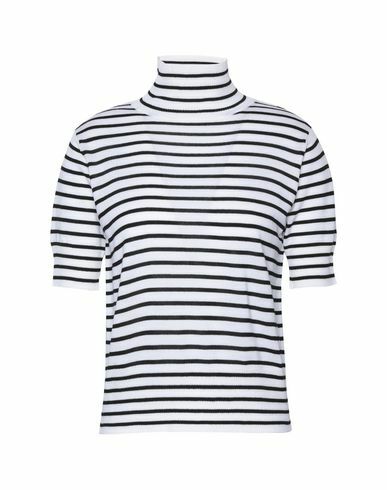 Subtle stripes against an optical white background adorn this cropped turtleneck jumper, made from soft and cosy Merino wool. Underneath a jacket for the office or paired with jeans and trainers for a casual look, this garment is perfect for windy days. Model is 5'10"/178 cm and wears an S.